Excerpt from the Study "The Bigfoot Enigma"
The Bigfoot has become, over the recent years, one of the most famous symbols of the American culture. People’s interest about this sneaky, elusive creature has been stirred by a set of evidence which has been collected from all over the nation: tracks, hair samples, visual sightings (either photographic or video material), and audio files of alleged “vocalizations”. It seems that Bigfoots make “cognitive sounds”, that is, wails, screams, howls, whistles, growls which present a given pattern resembling that of a primitive sort of language. 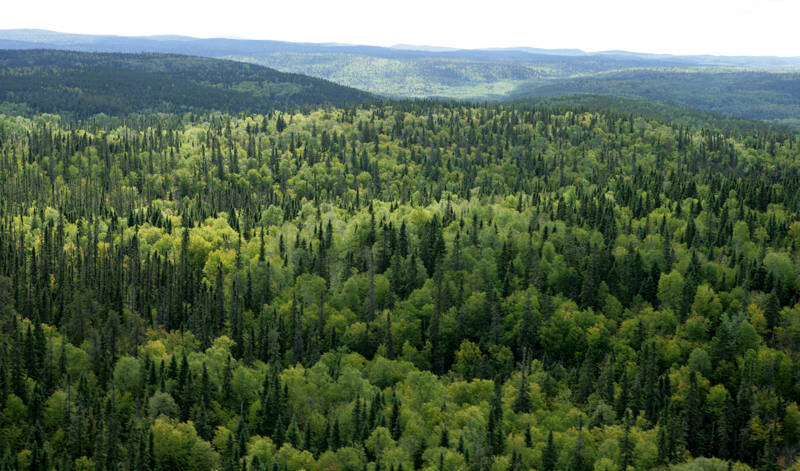 As for the tracks, there are famous examples of very clear and neat footprint found in areas where is believed a Bigfoot dwells. The problem with these tracks is that they are really too clear for being left by creatures who walk barefoot in the wild. This led many to believe most of the so called “evidence” being, in fact, a well concocted hoax. After the UFOs, the Bigfoot enigma can be nevertheless ascribed as the most controversial topic which is debated at various levels within the scientific (including the para-scientific, i.e. cryptozoological) and the media community. The reasons for this are many, but I believe that they all take from one common denominator: the ever-clashing theories of Evolutionism vs. Creationism. Who or what is the Bigfoot? An animal, an hominid, a hybrid? In the latter case, could it be the “Missing Link” Evolutionists have always been talking about since the dawn of Darwinism? Today that Darwin has become “out-of-date” in the popular (and, to some extent, the academic) view, Creationists have gotten bolder, and Genetics have replaced Biology in the race to unravel the secret of our origins. And here lies the pivotal point: we tend to put all which we observe under a human perspective, and couldn’t be otherwise, considering that we can see and process any phenomena strictly by the use of our cognitive mind, which is subjective. Therefore the Bigfoot becomes a “Hominid” because it walks on two legs, and is believed to be a Hybrid because of its semi-human language, and because of an allegedly DNA analysis in recent years proved that the Homo Sapiens shared a good chunk of its genetic structure with that of the Bigfoot. What we know about the giant species who inhabited the Earth since time immemorial can be read in many ancient texts from the Bible to the Hindus to the Chinese lore. It is recorded that in the beginning mankind was not the predominant race roaming the surface of this planet. In the beginning there were the Nephilim, the offspring of the Fallen Angels who mated with the “Daughters of Man”. The Nephilim were giants, and were hybrids. 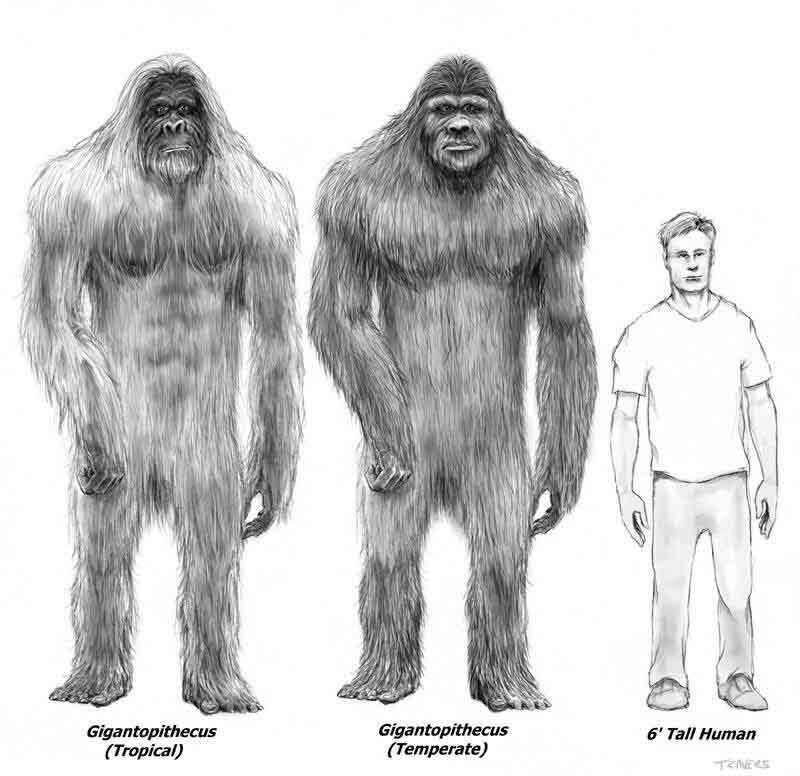 By comparison, the Bigfoot seems to be considerably taller and broader than an average adult male, and its DNA resembles that of our ancestors, the Homo Sapiens (if we follow the Evolutionary pattern), mixed up with that of an unknown species (the Nephilim’s, perhaps? This could explain some of the paranormal powers it is said some of these creatures possess). Melba Ketchum’s study claiming that the Bigfoot DNA has actually been mapped out caused a great deal of controversial comments among Academic and non-Academic researchers. 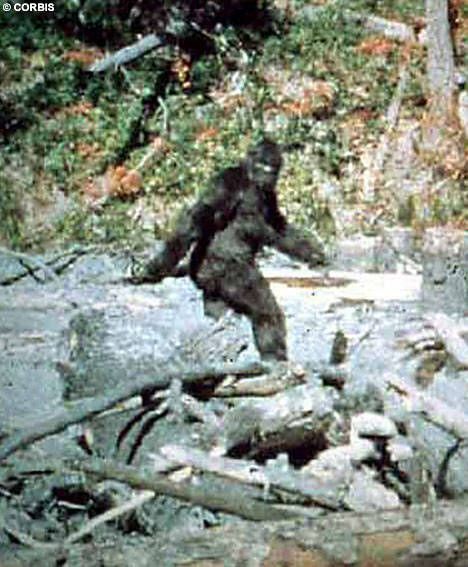 The Ketchum team asserts that the Bigfoot would be a hybrid between Homo Sapiens and a still unidentified humanoid species. As Sharon Hill reports in her article (published on Skeptical Briefs Volume 23.1, Spring 2013), the Ketchum story starts in 2008, after her analysis laboratory (DNA Diagnostics) was engaged in screening an alleged Yeti’s hair sample from Buthan for Destination Truth, an adventure show running on Discovery Channel. The media attention given to her appearances at the show in 2009 and 2010 set in motion a wave of popularity upon Ketchum and her lab: in the ensuing years she received more additional samples from people who thought that they might come from a Bigfoot. Along with the samples, Ketchum received substantial funds to further her research, and DNA Diagnostics became the “Bigfoot one-stop shop” where dropping hair, blood, saliva, and tissue samples. On November 24, Melba Ketchum finally issued a press release that summed up the 5 years of research into the Bigfoot DNA. 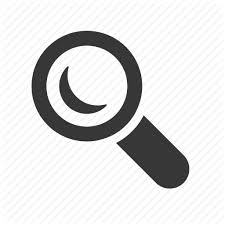 The outstanding results were that the analysis confirmed the existence of an unknown and uncategorized species of hominid in North America: the Bigfoot or Sasquatch. According to the Ketchum team the analysis would show without any shadow of doubt that this being is a human relative of 15,000 years of age; whereas the mitochondrial DNA is identical to the Homo Sapiens, the nuclear DNA showed up as a completely different structure, belonging to a species still unknown to scientists. As we can see here, logic takes us only so far before we meet with the first contradictions. We are talking about a hybrid which, at some point, detached from the Homo Sapiens to occupy its own niche in the evolution, as we moved on to become what we are now. This would mean that Evolutionism should still be the mainstream theory in explaining the origin of Mankind, and that (again) we are the reference point to explain the “Unknown”. However this is not what Genetics research is showing us today: we are on the brink to unlock the secrets of Cloning, and realize that to create a species, or to modify and existing one, the biological path of Evolution can be bypassed if not completely ignored. The Bigfoot, or Sasquatch as it is called in the northernmost regions of Canada, is a creature of six to eight feet of height, with a large forehead and bulky brow; its head is rounded and crested like that of an Ape; his body is covered with brown or red hair, while its face, palms, and soles are completely hairless. 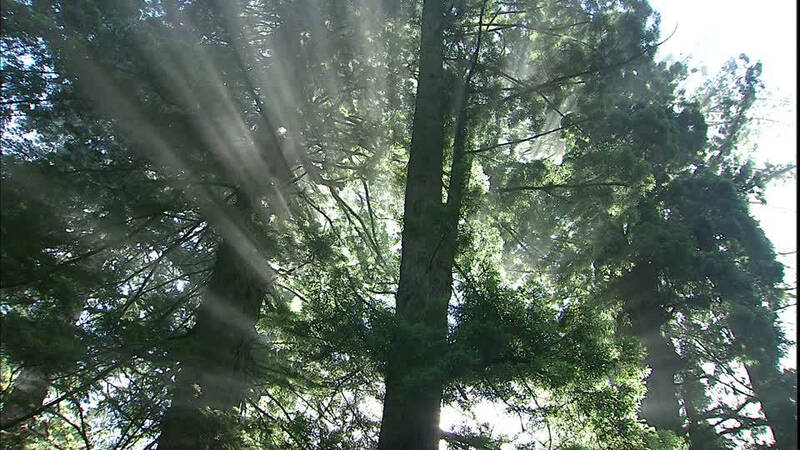 Folk lore helps us give continuity to the ancient texts, as the Native Americans of the Pacific Northwest abound with stories of “Wild Men” dwelling in the thickest forest, in the deepest caverns or upon inaccessible mountain tops. 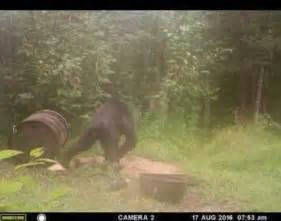 The modern era discovered the Bigfoot through the writings of J.W. Burns in the 1920s. He named the creature seen by several witnesses in the remote area of Canada “Sasquatch”, from the Halkomelem word “sasq’ets” which was the common name for “Wild Men” among a small group of Native Americans living on the border between British Columbia and Washington State. Only at the end of the 1950s the legend of the Bigfoot became widely popular in the United States, when Gerald Crew found large footprints at a construction site in California. He asked his friend to make a plaster cast of the prints. His story was published in the Humboldt Times and, later on, picked by the Associated Press, where it gained international attention. Unfortunately, after the death of Ray Wallace (brother of the man in charge of the construction site), his family went out saying that he had faked the prints. 1967 is the year of the famous “Patterson-Grimlin” footage, which shows a tall, hairy biped walking in a clearing and through the forest. That footage, although spectacular in the way it was taken, leaves many doubts of being a hoax. Considering the case for the existence of an unknown creature living on Earth, and still undiscovered by scientists, it may sound unlikely that with all the satellite technology, drones, and cameras equipment we possess today, nobody has ever been able to draw a conclusive report about the Bigfoot. If we, however, wonder whether there is an actual interest to get to the bottom of this enigma or, rather, leaving it unsolved; if we are open to the idea that there exist phenomena that we may call “cross-dimensional” – places or beings who have the ability to walk to and fro the ripples of the Multiverse – then we shouldn’t be at all surprised. If they possess such powers, let me take the case for the Nephilims back up again, suggesting that the Bigfoot might be a lot more ancient than us, not coming directly from our evolutionary line (as Ketchum claims). For those who are more grounded to our physical reality, suffices to say that the thick and vast forests of North America, as well as the eternally frozen peaks of Central Asia, are still widely unexplored, and if the Bigfoots or Yetis are not as numerous are we are, it is not impossible that they can slip out of the eyes of the curious who dare venturing into their realm.